One of my to do list is to have a bag organizer in my own room. I have a growing bag collection and I just can't figure out where I would keep those. The usual problem I encounter is that my bags are sagging and losing their shape because these are not properly stored. Sometimes, I pile my bag on top of the other and I tend to mess up with everything whenever I'm searching for one which I love to use at a given time or occasion. So, I think the above shelves for bags can be a good idea. 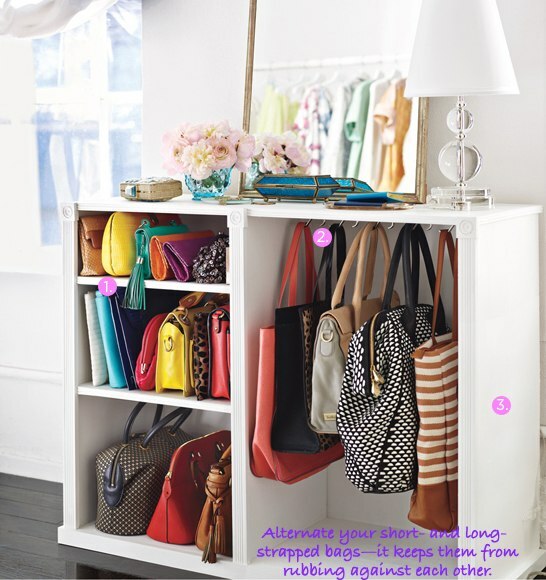 Also, you may want to cover the shelves with glass doors to get rid of dusts and so you could see your bags on display. Perhaps seeing your favorite collection at a quick glance will bring smiles into your faces.